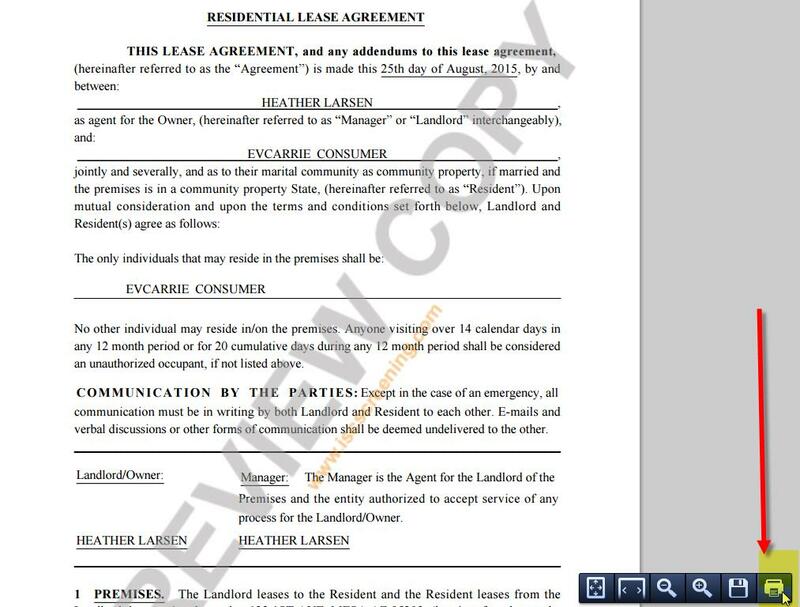 You have the ability to view a copy of the lease before and after you send the lease to your tenant for signature. 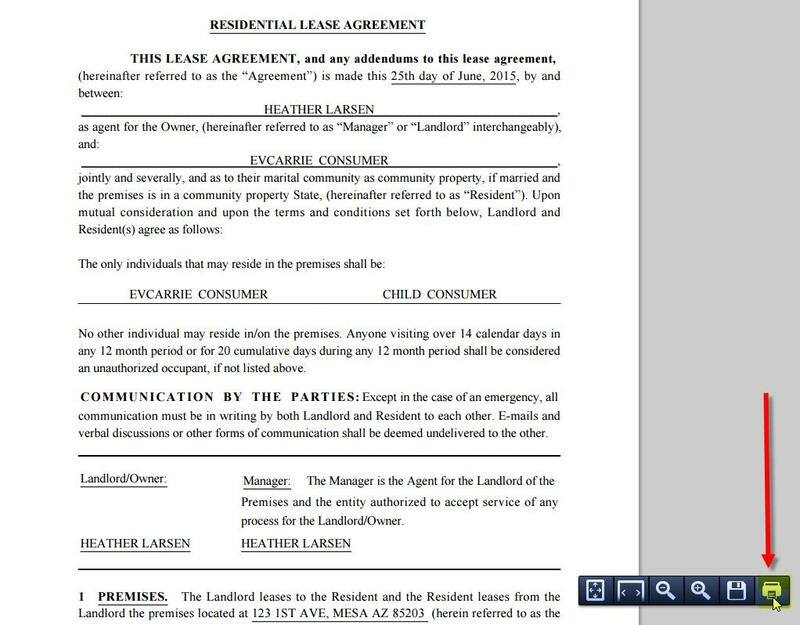 The lease will have a “Preview Copy” watermark over it until it is signed. 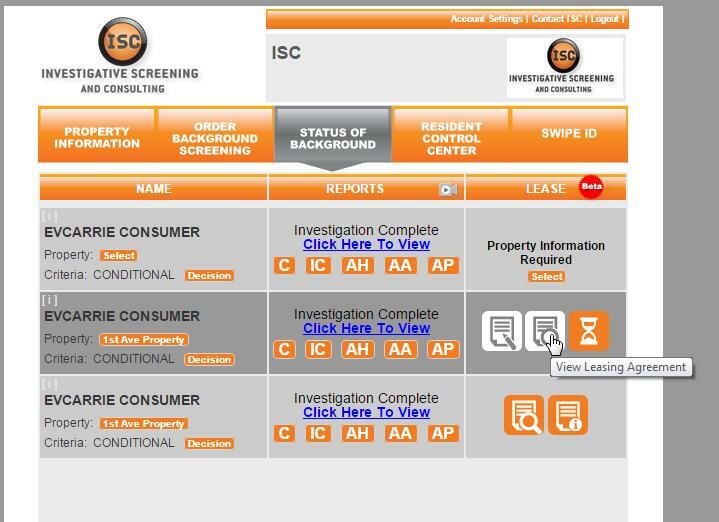 This way you can review the lease and make any changes up until the point the tenant signs. At this point you can preview the lease and go back to prepare lease to make any necessary changes. Once you are ready you can send the lease to the tenant to sign. After you send the lease for signature you can still go back to "Prepare Lease" to make any changes before the tenant signs. 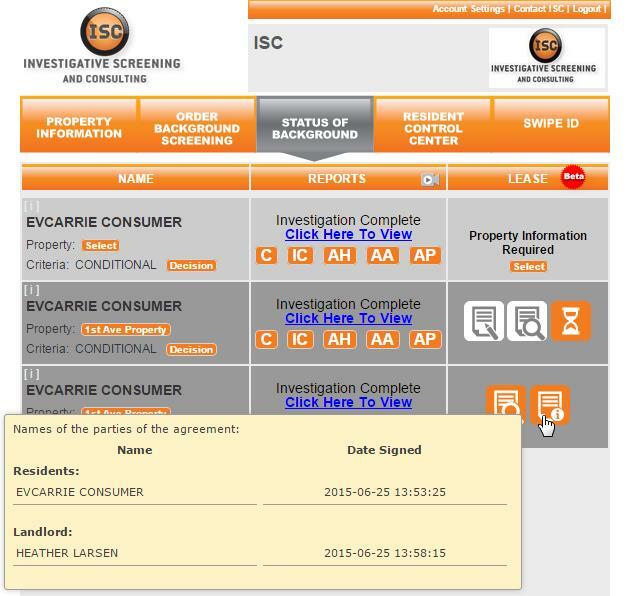 Once the tenant signs you can no longer make any changes and you will get a final copy of the lease. Once a party signs the date they signed will appear. There will be a “Preview Copy” watermark on the lease until everyone signs. 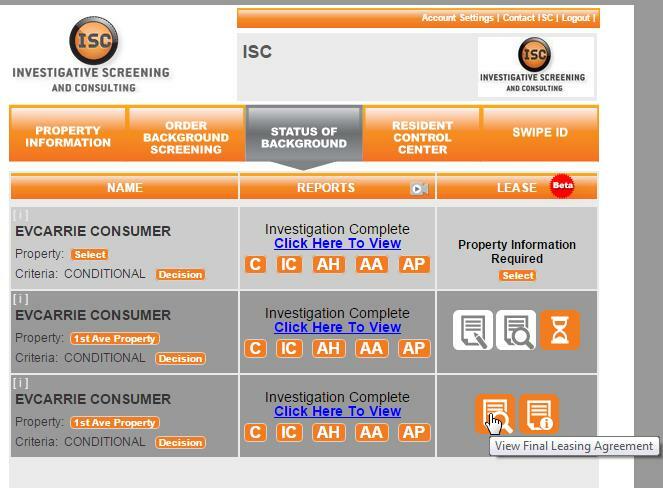 This will allow you to make changes to the lease if needed and show that it is not the final copy. Once the tenant signs and you sign, you will have a final copy. You can conveniently access a copy of the final lease agreement in your account at anytime.